An essential guide to controlling any sort of critter, from merely pesky to the outright dangerous. Ants & bettles to flies & mosquitos, moles & voles to bears & beavers, coyotes, alligators, neighborhood pets & more. 280 pgs. When a pet dies, it is crucial that parents are equipped to support their children. 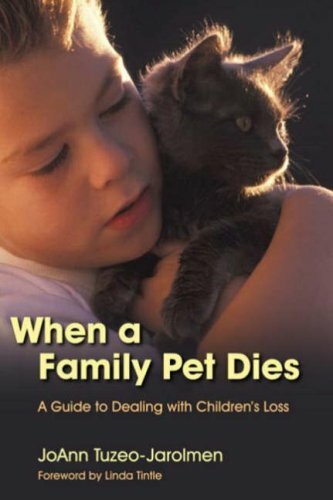 JoAnn Tuzeo-Jarolmen explains that children grieve for a dead (or missing) pet as they would for a family member, and she gives guidelines on how to identify signs of grief in children. She describes the differences between child grief and adult grief, and takes the reader through the major developmental stages in a child's grieving process, explaining the common types of behavior and emotions experienced at each stage. She also discusses whether pets should be replaced or not and how to encourage children to move on. 104 pgs. How to keep love & romance in the human/animal kingdom of your home. 269 pgs. Tackles a wide variety of situations that occur when human and non-human worlds clash. It is a handbook to codify for the general public how to deal with wildlife related problems and concerns. Such as finding a baby bird, a snake in your garage, woodpeckers drumming on your house... with tips on relocation, repelling, and when to call the experts. 173 pgs. Study of animals, bugs, and birds and their strange ways of how they face each new season of the year. 206 pgs. Featuring the best and most unusual work of such renowned nature photographers as Art Wolfe, Jim Brandenberg, Jen and Des Bartlett, and Frans Lanting, and complete with informative essays, Wild Babies is a lively, diverse, and fascinating portrait of 36 animal babies in their natural habitats. Full-color photos throughout. 80 pgs. From America's rugged Rockies & Europe's lofty peaks to the isolated majesty of Africa's volcanoes & the vast escarpment of the Himalayas, man has always been awed & fascinated by mountains. 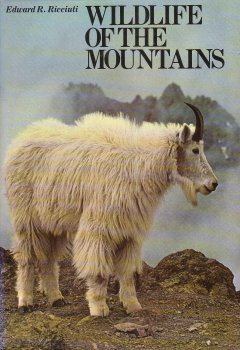 This handsome volume explores the forces that shaped these colossal land forms and the plants & animals that inhabit them. Includes expert, informative text & many color plates, drawings, & maps. There are lively accounts of such animals as the bighorn sheep of the Rockies, the bongo of the Aberdares, the tapir of the Andes, & the quetzal of the Mexican rain forests, as well as such exoyic plants as tree geraniums that grow only on the Hawaiian volcano Haleakala. Approx. 200 illustrations in full color. 232 pgs. Humane Society of the United States A Friendly and informative handbook for managing the human-animal conflicts of more than 30 different species that arise in an urban setting. Illustrated. 288 pgs. A fascinating look at some of the animal kingdom's most bizarre sexual behavior. 287 pgs. Contrary gardener Gene Logsdon has found an imaginative way to introduce gardeners to a more total enjoyment of nature--fauna as well as flora. 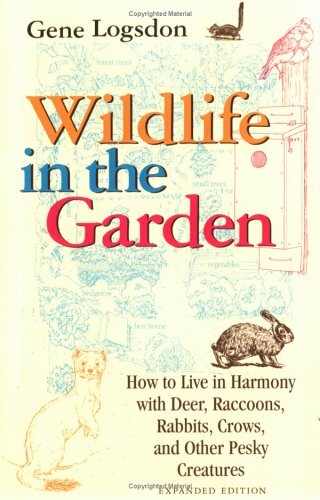 What gardeners consider pests (rabbits devouring petunias, deer browsing the morning glories), Logsdon views as just more of nature's wonders, and teaches us, intimately and lyrically, to live together with them in harmony. If you're not yet familiar with the wonderful musings of Gene Logsdon, this is a perfect introduction. Illustrated. 275 pgs. This month-by-month tour of the wild kingdom takes readers on a literary and photographic odyssey, showing key stages in the life cycles of 288 plants and animals in the world's nine wildlife regions. Lively text, color illustrations, maps, and hundreds of full-color photos make it a valuable resource. Zoogeographical regions, climate, terrain, animals, animal distribution maps, color photos. We share our planet with a teeming variety of plants and animals. The kinkajous, horned beetles, seladangs (giant Asian ox) and capybaras (the world?s largest rodent) of the title are just a sampling from the almost 200 entries found herein. 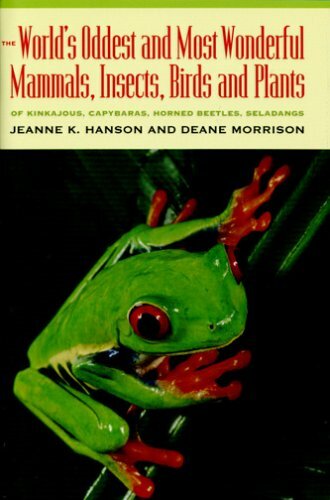 The authors, Jeanne Hanson and Deane Morrison, introduce us to the strangest and most remarkable forms of life found on earth, deepening our awareness and appreciation of the incredible richness in which the world around us abounds. 283 pgs. 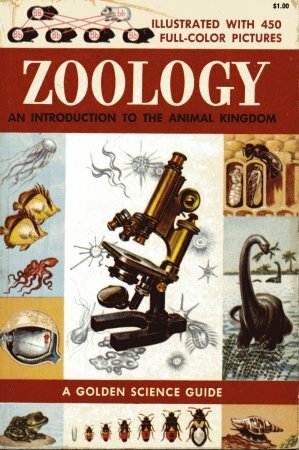 An introduction to the animal kingdom - illustrated with 450 full-color pictures. Pocket-size. 160 pgs.